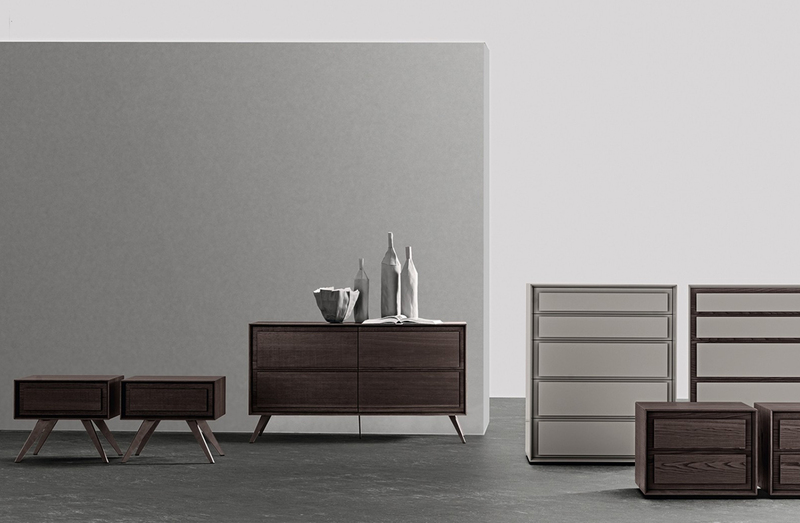 Bedroom collection with structure in aged oak wood or lacquered wood. Option with legs in lacquered metal or burnished metal. Available as one drawer nightstand with legs, two drawer nightstand without legs, four drawer dresser with or without legs and five drawer tallboy with or without legs. See ADDITIONAL SPECS for full details on available dimensions.